Bed frames are often bought with a matching suite in mind. 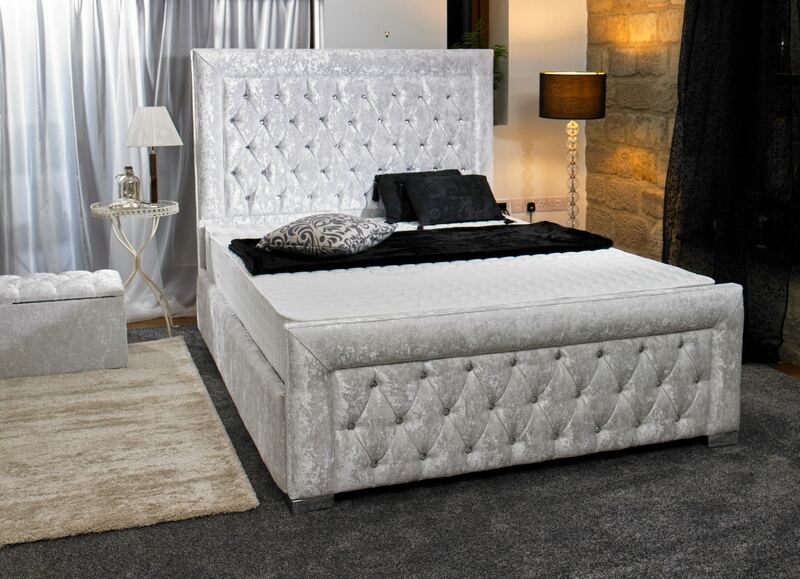 Our metal and leather bed frames can compliment a wide range of bedroom furniture. With our Wooden bed frames, oak, pine and rubber wood are the most popular. Rubber wood, a harvested timber from the Far East is especially versatile and shows well in a mahogany or teak finish. The most popular style for children is the single pine spindle bed. For the master bedroom, it's shaker style beds, leather sleigh beds and contemporary low metal beds. The choice is yours! A bed frame or bedstead consists of a headboard, a footboard, 2 side rails and slat supports for the mattress. Some metal bed frames will come with a wire mesh base. Others, particularly antique bedsteads, will come with a covered divan box that fits inside the bed frame. Bed frames all need to be assembled in the room they are going to be used. It is one piece of bedroom furniture that just won't fit through the bedroom door. Fortunately they are designed for easy self assembly and come with instructions and fittings. You may need a screwdriver though. Spanners or Allen keys, if required, are normally supplied.